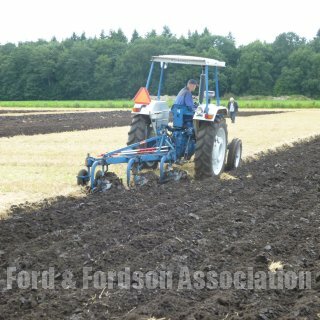 Saturday 20th August we had the Annual Dutch FFA ploughingmatch by kind permision of Mr Johan Hogeboom. 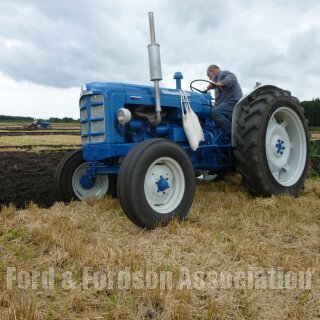 The day started with nice warm weather but soon the sun was looking down on us with full force 29 degrees..... a bid to warm for ploughing. 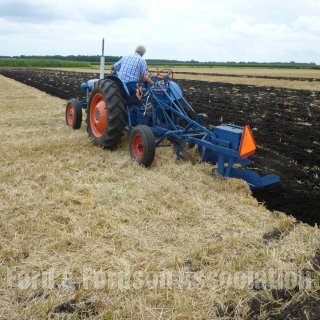 The soil was dry and a lot of staw on top made ploughing difficult. 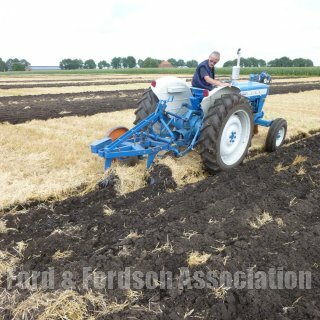 When the ploughman arrived our ladies, Dioeke and Ineke had their supeb koffie, cake and refreshments ready. 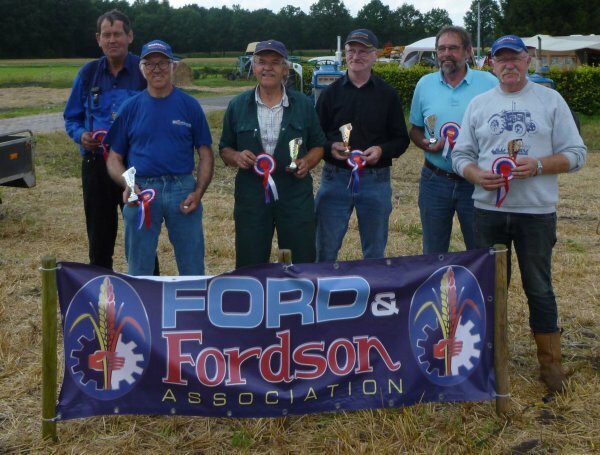 Some of the Ploughmen had a two hour drive by lorry and then you like a cup of koffie. 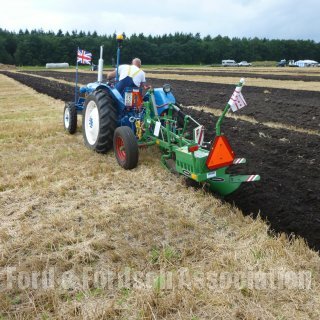 When all the ploughman where present I open the day and welcome them all, introcuced the members of the jury and explaning the rules then they all went to thier plots. 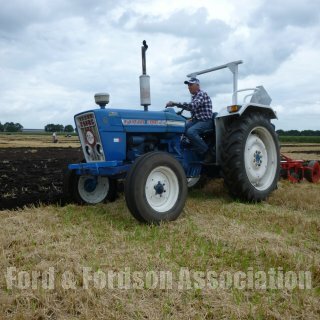 Tha FFA flag went up that was the signal for the opening furrow. 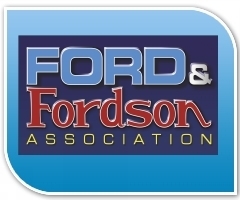 The members of the jury made thier rounds and they gave the signal to continue. 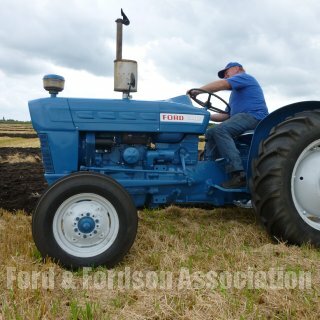 For some ploughman it was difficult to battle the straw and some more experienced did well. 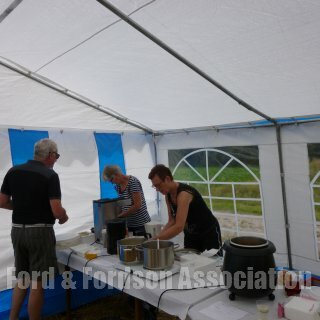 12.30 was time for lunch, they all enjoy the soup and sandwich that our ladies had ready. 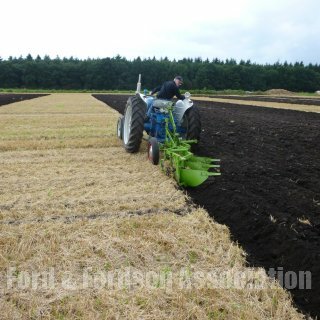 During lunch break there was a lot of discussion about there ploughing. 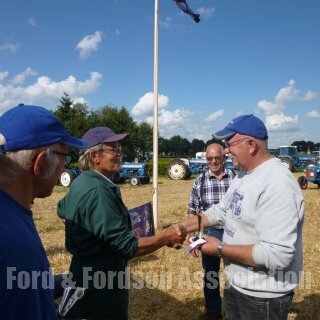 13.00 the flag went up again and they put the tractors back to work. 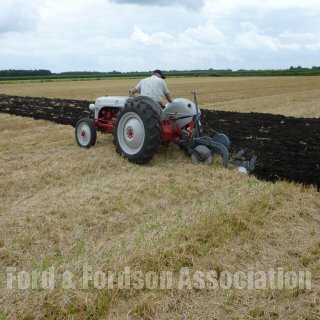 It was a great sight all the Ford & Fordsons working in one field. About 16.00 they all finish there plot and as usuall they take a look at there neighbour plot. 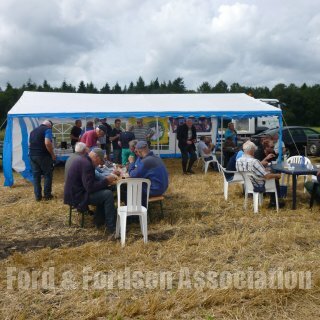 After ploughing was finish the ploughs where cleaned and the trators ready for the journey home, we get arond the tent for a cold drink and and a tradition.... the tasty meatballs. After the congratulations they all went home looking back on a fine day hope to see you all next year. 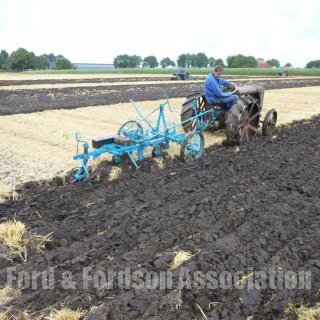 Our thanks go to Mr Johan Hogeboom for letting us plough on his land and of course Djoeke and Jarich Hibma who have help us for many years now and of course my wife Ineke.